This image is of a painting done by James A. Flood commemorating the meeting of Cunard's super liner of the 21st Century, the famous RMS Queen Mary 2, and her illustrious predecessor, for whom she is named, RMS Queen Mary, in the month of February, 2006, in Long Beach Harbor. This was their first meeting. 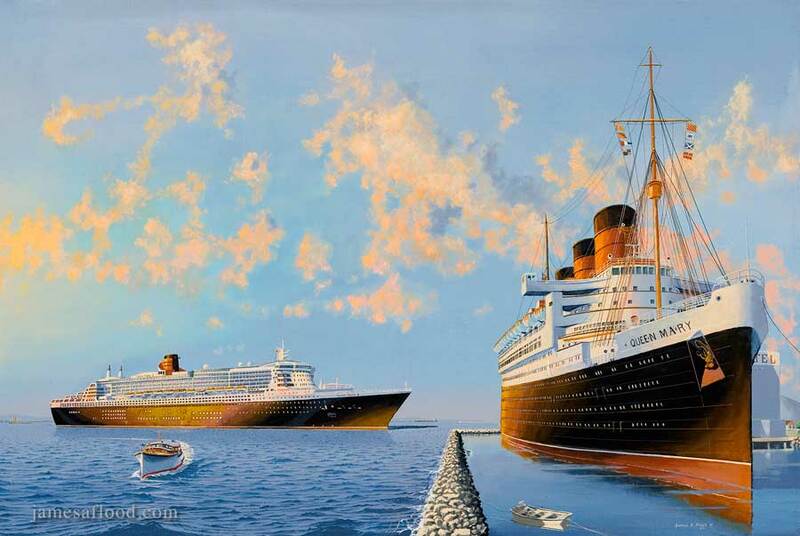 In this depiction, Queen Mary 2 has entered the Port of Long Beach and has come within full view of the original Queen Mary, now permanently moored in the harbor.